Bennett Rink became Executive Director of Alvin Ailey Dance Foundation in January 2013. Prior to that time, Mr. Rink served the Ailey organization in a number of roles. 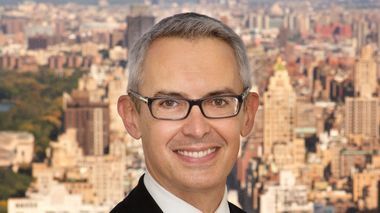 He first joined Ailey as Manager of Special Events in 1994, became Development Director in 1998 and then worked as Senior Director of Development and External Affairs from 2007 to 2012. In his tenure overseeing Ailey’s development and fundraising efforts, Mr. Rink led a $75 million capital campaign that supported the construction of Ailey’s first permanent home, The Joan Weill Center for Dance which opened in 2005, and established an endowment to support major program areas. When the Company celebrated its 50th anniversary in 2008, Mr. Rink supervised an 18-month celebration, including events, promotions, collaborations and special performances, bringing public awareness of the Ailey organization to new heights. In conjunction with the anniversary, Mr. Rink also oversaw “The Next Step Campaign,” which grew the organization’s endowment to $50 million. As Executive Director, Mr. Rink launched a five-year strategic plan in 2014 to realize Artistic Director Robert Battle’s creative vision for the Company, expand the impact of Ailey’s educational offerings, and enhance technology to extend the reach of all aspects of the organization. A key element in the plan involves the enlargement of The Joan Weill Center for Dance. As the largest and most active destination for dance in New York City, the Center attracts more than 200,000 visitors annually. The planned expansion will create additional studios and classroom space to meet the growing demand for Ailey’s programs. Mr. Rink also conceived The Campaign for Ailey’s Future, a $50 million initiative to support the Center’s expansion and other long-range strategic priorities. To date, more than $44 million has been raised. Leaders of the Alvin Ailey Dance Foundation today celebrated the expansion of Ailey’s permanent home, The Joan Weill Center for Dance, with a ceremonial roof-breaking to mark the company’s upward growth. The event featured an unveiling of the design for the expanded building and performances by Alvin Ailey American Dance Theater’s Jacqueline Green, Ailey II and students from The Ailey School. Alvin Ailey Dance Foundation has been selected for the New York-based Wallace Foundation’s Building Audiences for Sustainability effort – a new, six-year, $52-million initiative aimed at developing practical insights into how exemplary performing arts organizations can successfully expand their audiences, the foundation announced today.